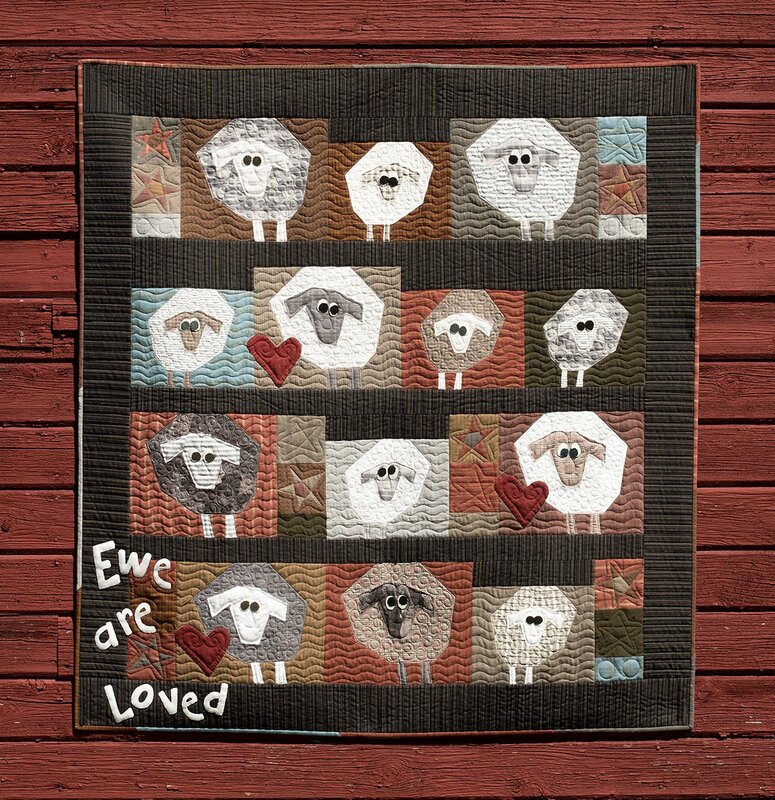 Ewe are Loved kit from the book "Udder-ly Crazy" (purchased separately) by Janet Rae Nesbitt for One Sister. Kit includes all the fabrics for the blocks, sashings, borders, and binding. Finished quilt size: 50" x 54"